Twenty-five years ago today, the Space Shuttle Challenger broke apart 73 seconds into its flight, and all seven of its crew members perished. It was one of the moments, like the JFK assassination and the 9/11 attacks, which we always remember where we were and what we did in the aftermath of learning the news. This entry was posted in Uncategorized and tagged Challenger, Columbia, James E. McGreevey, New Jersey, Space Shuttle on January 28, 2011 by Rich Lee. Is Obama Returning to His Old Playbook? This entry was posted in Uncategorized and tagged Barack Obama, State of the Union on January 25, 2011 by Rich Lee. Fifty years ago today, for the first time in American history, a presidential press conference was televised live. This marked the first time that the American public could hear exactly – and in full – a President’s responses to questions from the White House press corps. Previously, citizens had to rely on news reports, which by their nature, only contained portions of a President’s remarks. We are experiencing a similar development today. Thanks to the Internet, Presidents and other elected officials now have the ability to send news and information directly to the public via websites, social networks, and email. This gives them the opportunity to bypass the scrutiny of journalists. This entry was posted in Uncategorized and tagged First live televised presidential press conference, internet's impact on news, John F. Kennedy on January 25, 2011 by Rich Lee. Governor Christie made a smart move by declining overtures from Republican leaders that he deliver the GOP’s official response to the president’s State of the Union address tonight. On the surface, the decision appears out-of-character for Christie, who has built a strong following among Republicans across the nation. Delivering the GOP rebuttal tonight would have given him national exposure on every major television network. This entry was posted in Uncategorized and tagged Barack Obama, Chris Christie, GOP Response, Paul Ryan, State of the Union on January 25, 2011 by Rich Lee. It was nice to read some good news about Boy George for a change. It seems he recently discovered that a religious artifact he bought from a London art dealer in 1985 had actually been stolen from the Church of Cyprus after the 1974 Turkish invasion, so he has returned it to its rightful owner. 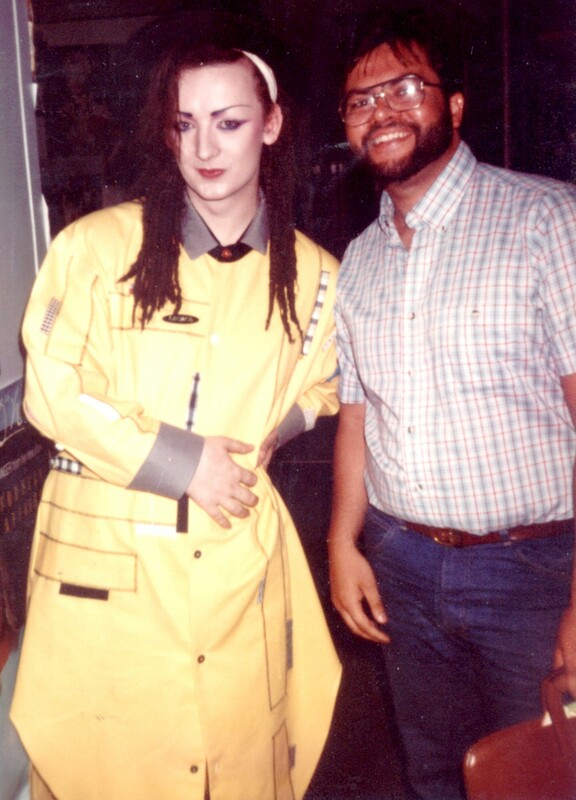 This entry was posted in Uncategorized and tagged Boy George, Culture Club, Cyprus, religious icon on January 22, 2011 by Rich Lee. Keith Olbermann’s sudden departure from MSNBC is illustrative of an overriding tenet that characterizes the media industry. News organizations are businesses first – businesses that exist to make a profit. Providing news and information is secondary, just a means to bring in revenue. This entry was posted in Uncategorized and tagged Keith Olbermann, media industry, MSNBC, NFL, Toyota. New York Times, Viacom on January 22, 2011 by Rich Lee. For more than 80 years, the Miss America Pageant was synonymous with Atlantic City, but in 2006, the annual event moved to Las Vegas, where it will take place again this year – on Saturday evening at Planet Hollywood. This entry was posted in Uncategorized and tagged Atlantic City, Bruce Springsteen, Chris Christie, Las Vegas, Miss America, Suzette Charles, Vanessa Williams on January 14, 2011 by Rich Lee.